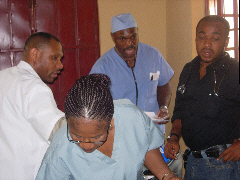 Imo Medical Mission was founded in 2003 by a group of Nigerian health care professionals residing in the United States to provide free medical & surgical care to underserved communities in Imo State, one of Nigeria’s 36 states, located in the southern part of the country. 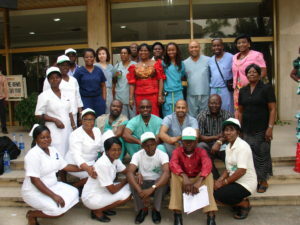 The team was formally incorporated as a non-profit organization in 2005 by Dr. Stanley Okoro, a Plastic Surgeon. Working closely with Imo State’s Ministry of Health, the Governor, and a local hospitals, the organization sends teams of medical practitioners to Imo state to perform medical procedures and provide basic health care services. The team work in collaboration with Imo State medical professionals and perform surgeries, provide critical and primary care, eye care, dispense eye glasses, medication, and provide health education to the Imo State and disadvantaged forgotten. 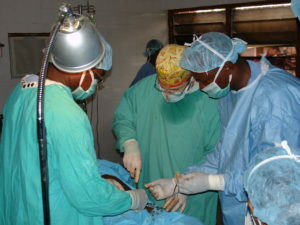 Volunteers of Imo medical mission conduct surgeries, provide outpatient care, dispense medication, and instruct local residents on health education and community wellness practices. Imo Medical Mission sends two teams of physicians abroad per year: a spring trip with 15 volunteers and a winter trip with 35 to 40 volunteers.